Mike Morelock is the founder of Ashpark Financial Group, LLC. 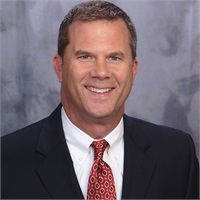 Mike graduated from Virginia Military Institute with a bachelor’s degree in Economics and has been in banking and financial services since 1994. Mike has earned the Chartered Retirement Planning Counselor designation from the College of Financial Planning, is a Registered Representative as well as a Investment Advisor Representative with LPL Financial. Mike is also a licensed insurance agent to include: health, life and annuities, and variable contracts in the state of Virginia. As an Independent LPL Financial Advisor, Mike works with his clients to assess their needs, determine goals, and develop a strategy to work toward their objectives. His clients are successful individuals, families, and business owners seeking to protect, and grow their wealth. They are experienced and prudent investors with a minimum portfolio size of $250,000. Through hard work and diligence, Mike helps his clients implement investment strategies that allow them to chart a course towards financial independence. Mike, his wife, and children reside in Glen Allen, Virginia.